Desktop PCs are great for most of your needs, but sometimes you might need a PC that’s mobile. If you’re always on the go, you would probably need a laptop, and today we’re going to show you the best cheap Windows 10 laptops. 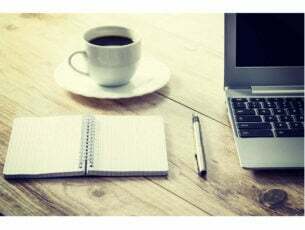 What are the best cheap Windows 10 laptops to buy? Dell Inspiron 15 3558 is a decent desktop replacement. This is a 15-inch device, and it offers 1366×768 screen resolution. Regarding the storage, there’s a 1TB 5,200rpm hard drive that will be enough for most average users. The device is powered by 2.1GHz Intel Core i3-5015U processor and it has 6GB of memory. 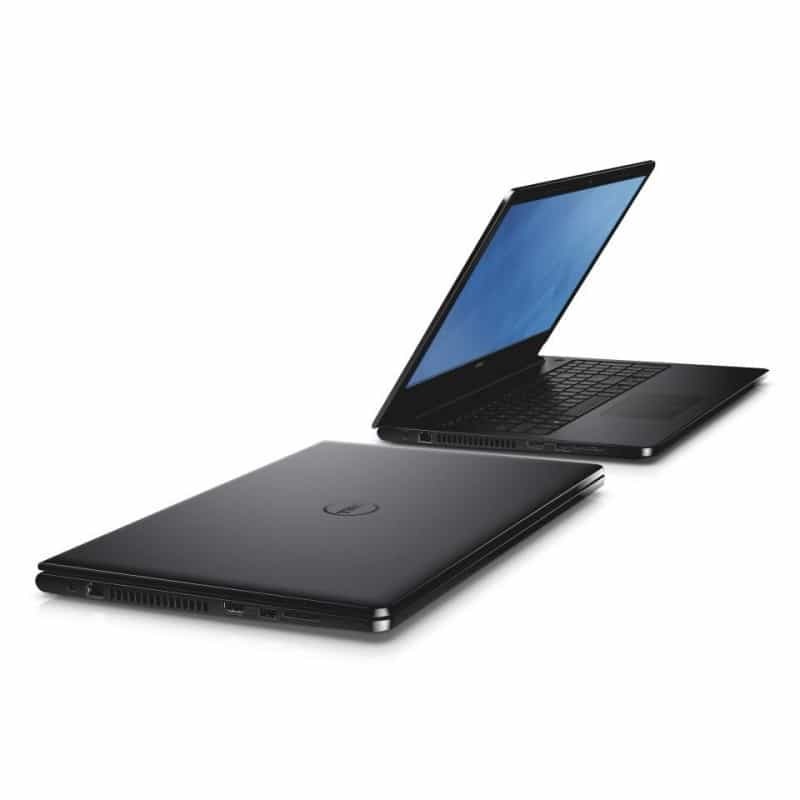 Regarding graphics, Dell Inspiron 15 3558 comes with integrated Intel HD Graphics 4400. As for the battery, this device can last almost 9 hours on a single charge. Available ports include HDMI port, USB 3.0 port, two USB 2.0 ports and Ethernet port. There’s also a DVD drive, headset jack, Bluetooth 4.0 and dual-band 802.11ac wireless adapter. 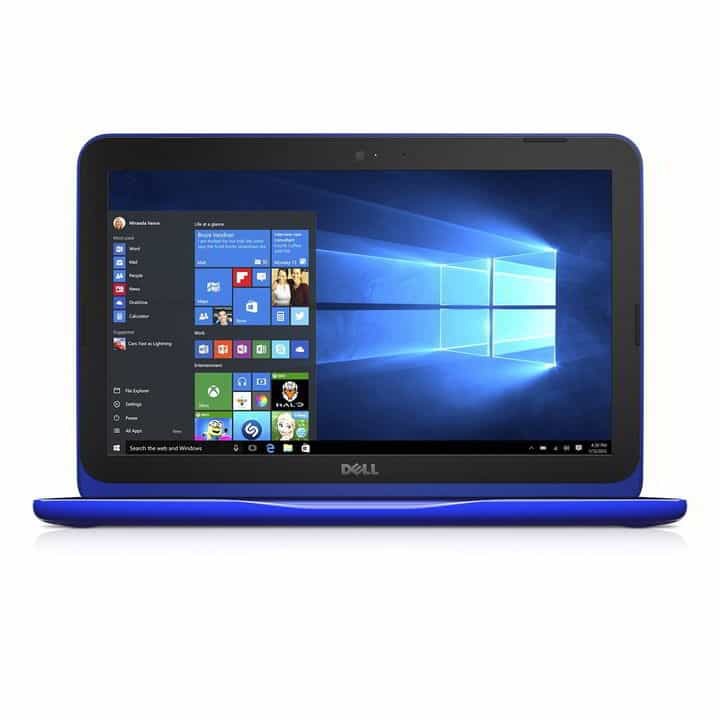 Dell Inspiron 15 3558 is a decent device, and it should be able to run most applications without any problems. As for potential flaws, the only flaw might be its screen resolution, but that’s expected for a budget laptop. You can get this laptop for about $350. If the previous model is too expensive for you, you might want to consider something more affordable. Dell Inspiron 11 3162 is a compact laptop that weights about 2.46 pounds. Due to its size, you can easily take it with you wherever you go. This 11-inch device offers decent 1366×768 resolution. Regarding the hardware, this laptop has 1.6GHz Intel Celeron N3050 processor. 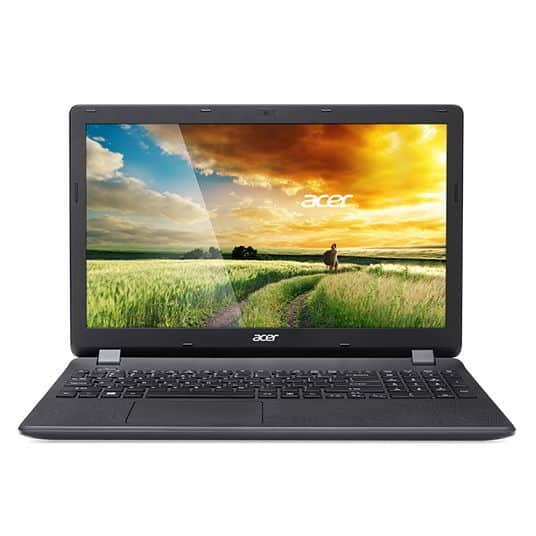 Additional specifications include 2GB of RAM and Intel HD graphics. Regarding the ports, there’s an HDMI port, two USB 2.0 ports, headset jack and microSD slot. As for connectivity, dual-band 802.11ac Wi-Fi and Bluetooth are available. In terms of storage, this device comes with 32GB of eMMC storage. Battery life of this model is about 10 hours, which is rather decent. Regarding the software, this laptop comes with 64-bit version of Windows 10. Dell Inspiron 11 3162 offers humble hardware specification, so you won’t be able to use it for any advanced multimedia projects. Despite its humble hardware, this device will be perfect for basic users with its lightweight design. Regarding the price, this device is available for $192. 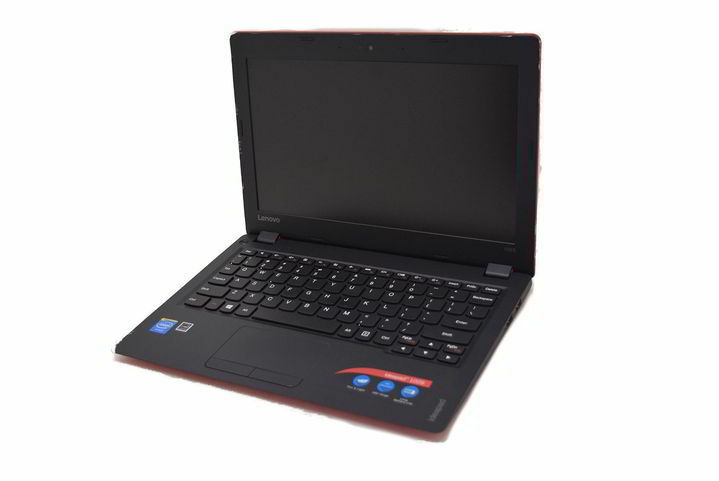 Lenovo IdeaPad 100S-11 (80R2003XUS) is another lightweight, compact and affordable Windows 10 device. This laptop has 11.6-inch 1366×768 display and it weighs 2.29 pounds. Regarding the hardware, the device is powered by 1.33GHz Intel Atom Z3735F CPU, Intel HD graphics and 2GB of RAM memory. Regarding the storage, this device uses 32GB eMMC flash storage. As for the ports, there’s two USB 2.0 ports, an HDMI port and a headset jack. There’s also SD and MMC card reader, so you can use it to expand the storage space. As for connectivity, there’s Bluetooth 4.0 and 802.11 b/g/n Wi-Fi. Despite its humble hardware, this device runs 32-bit version of Windows 10. This is humble and compact laptop, so you probably won’t be able to perform any advanced multimedia tasks with it. Regarding the price, this laptop costs about $179. 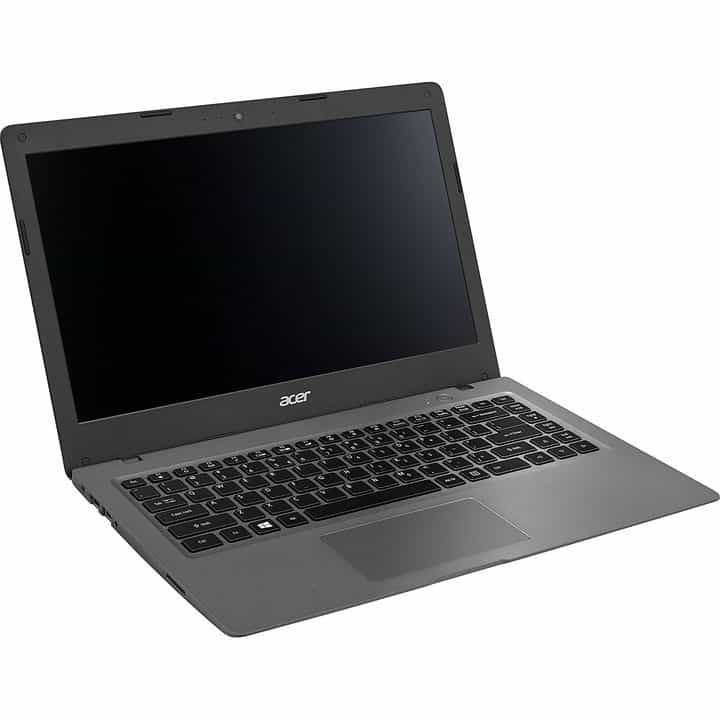 Acer Aspire One Cloudbook 14 is a 14.1-inch device that weighs about 3.5 pounds. The laptop uses 1366×768 resolution which should be enough for basic users. In terms of hardware, this device uses dual-core 1.6GHz Intel Celeron N3050 processor and 2GB of RAM. Regarding multimedia, this device comes with Intel HD Graphics, so you won’t be able to perform some advanced multimedia tasks. As for the storage, Acer Aspire One Cloudbook 14 has 32GB of eMMC, but thanks to the available card reader, you can somewhat fix this problem. The device comes with one USB 3.0 port and one USB 2.0 port, but there’s also an HDMI output and headset jack. Additional features include Bluetooth 4.0 and 802.11n Wi-Fi. This laptop is designed for cloud, so it’s no surprise to see 1TB of free OneDrive storage space and one year of Office 365 Personal available. Regarding the operating system, the device comes with Windows 10 Home. This is a decent and affordable Windows 10 laptop, and you can purchase it for $199. 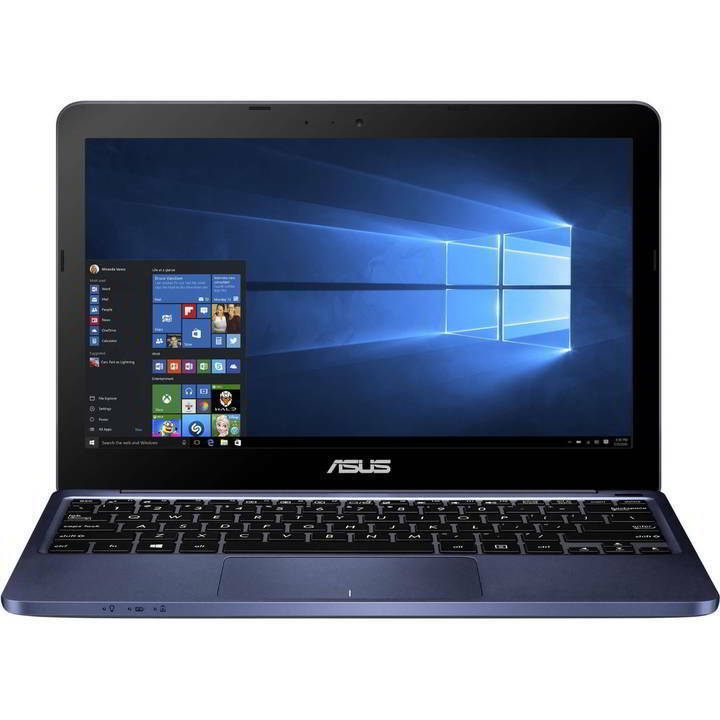 Asus EeeBook X205TA is another lightweight and affordable Windows 10 laptop. This 11.6-inch laptop weighs about 2.1 pounds and it offers 1366×768 screen resolution. The device comes with quad-core, 1.33GHz Atom Z3735F and 2GB of RAM. Regarding the storage, ASUS EeeBook X205TA has 32GB of eMMC storage, which is enough for basic applications. Additional features include two USB 2.0 ports, microSD card slot, micro HDMI port and headset jack. There’s also Bluetooth and 802.11n Wi-Fi available. Since this device is designed for cloud, there’s a 1TB of OneDrive storage and one-year Office 365 subscription. Regarding the battery, this device can last up to 9 hours on a single charge. This is a humble and light Windows 10 laptop, so it will be perfect for basic tasks, such as Office applications and web browsing. Regarding the price, you can get this laptop for about $200. If you’re looking for an affordable 2-in-1 hybrid device, you might be interested in Asus Transformer Book Flip TP200SA. This device comes with 11.6-inch screen and it uses 1366×768 resolution. The device weighs about 2.6 pounds and it’s 18.4mm thick. Even though the screen can’t be detached, it supports 360-degree rotation, so you can easily fold it and use it as a tablet. Thanks to the built-in sensors, Tablet mode will turn itself on automatically as soon as you rotate your screen beyond 180 degrees. In terms of hardware, Asus Transformer Book Flip TP200SA comes with Dual-core 1.6GHz Intel Celeron N3050 processor and 2GB of RAM. Additional specs include 32GB SSD storage and integrated Intel HD Graphics. Regarding the battery, it will last just over 9 hours on a single charge. As for the ports, there’s a single USB 2.0, USB 3.0 and USB 3.0 Type-C port. In addition, there’s a single micro HDMI port, so you can easily connect this laptop to an external display. If you need more storage, there’s microSD card reader available. 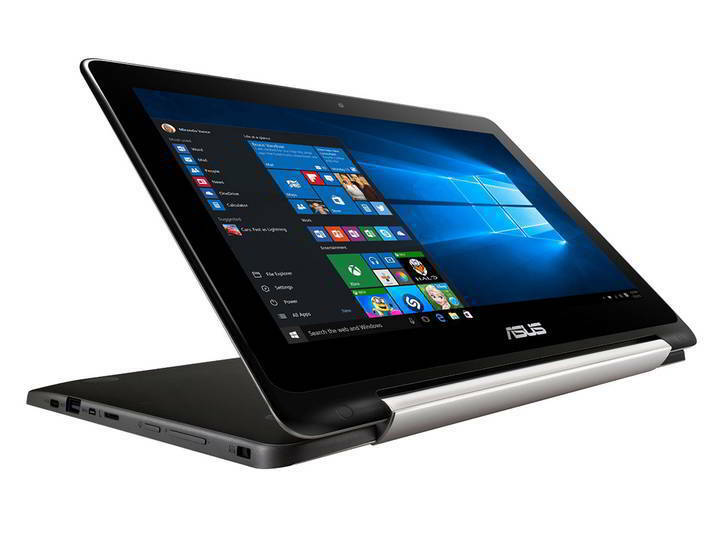 Asus Transformer Book Flip TP200SA is a decent 2-in-1 device, and it will be perfect if you need both tablet and laptop in a single device. Keep in mind that this device offers humble performance, but it should be enough for basic tasks. Regarding the price, this hybrid device costs about $240. HP Stream 14 is probably one of the best affordable laptops on our list. This is a 14-inch device that uses 1366×768 resolution. Regarding the hardware, there’s a Celeron N3060 1.6GHz, dual-core processor, 4GB of SDRAM and 32GB eMMC internal flash storage. 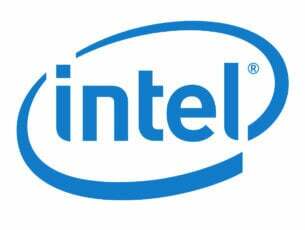 Regarding the multimedia, there’s integrated Intel HD Graphics 400. Additional features include 802.11ac 2×2 Wi-Fi antenna, Bluetooth 4.0 and one HDMI port. Regarding ports, there’s one USB 2.0, two USB 3.0 and two USB 3.1 ports available. In addition, there’s also a multi-format SD media card reader. Regarding the battery, there’s a 3-cell 41 Wh Li-ion battery available. This laptop runs 64-bit Windows 10 Home version and it comes with 1-year Office 365 Personal subscription and 1TB of OneDrive storage. Although this device isn’t designed for any advanced multimedia tasks, it should handle all basic tasks without any issues. Regarding the price, you can get this device for $279. 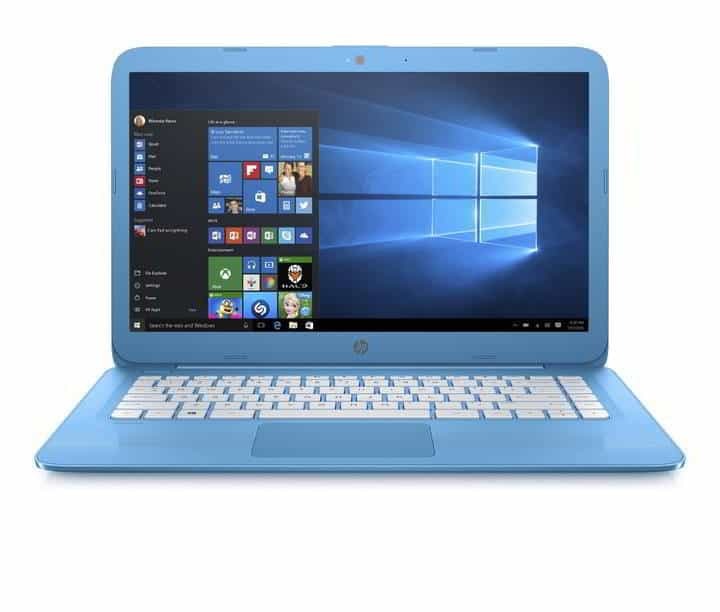 If this model is too expensive for you, there’s also HP Stream 11 that comes with 11-inch display. HP Stream 11 costs $199, but it comes with slightly different hardware. 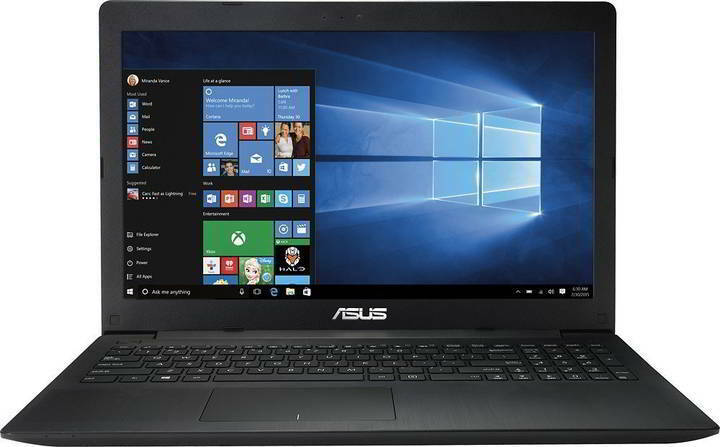 ASUS X553SA is a 15.6-inch device, and it comes with 1366×768 100dpi TN LCD glossy display. In terms of hardware, this device uses 1.6GHz Intel Celeron N3050 dual-core processor. Additional hardware includes Intel HD GPU, 4GB RAM and 1TB 5400rpm hard drive. This device has both VGA and HDMI connectors, which is great if you have older VGA monitor. There’s also one USB 2.0 and one USB 3.0 connector. Additional ports include headphone, Ethernet and SD card port. There’s also a DVD burner and Kensington lock port. Regarding the battery, this device comes with 48Wh lithium-ion battery that should last up to 5 hours. Additional features include 802.11b/g/n/ac dual-band 2×2 Wi-Fi and Bluetooth 4.0. This laptop has decent specifications, and it should run most applications without any problems. However, this device isn’t designed for gaming or heavy multimedia usage, but it should be powerful enough for basic users. Only flaw of this device might be its weight and size. This device is 26mm thick and it weighs 4.8 pounds, so it’s not the lightest model on our list. Regarding the price, ASUS X553SA costs about $250. 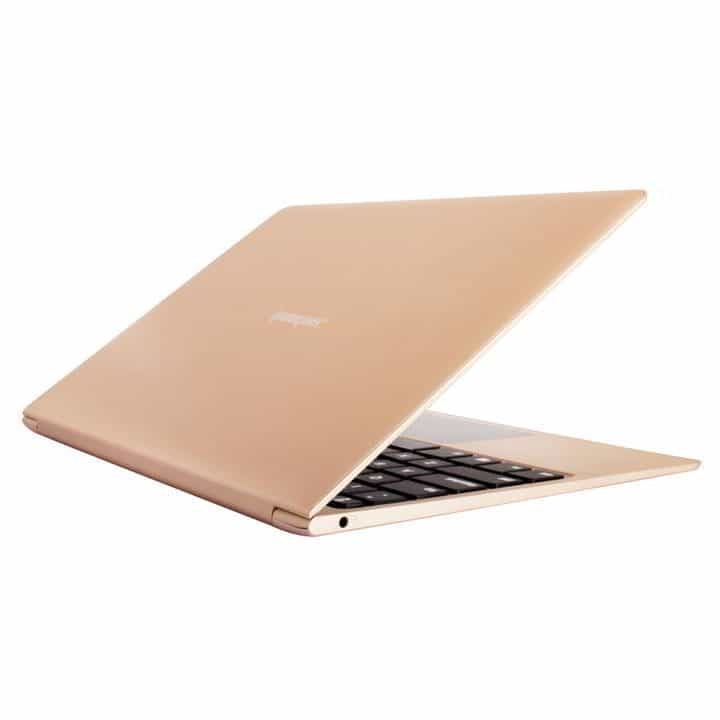 When you look at Jumper EZBook Air you’ll notice that it looks similar to MacBook. The device comes with 11.6-inch screen, and it supports 1920×1080 Full HD resolution. Regarding the hardware, this laptop comes with Intel Atom X5 (Cherry Trail) Z8300 quad-core processor and 4GB of DDR3L RAM. There’s also integrated Intel HD graphics and 128GB of flash storage. Unfortunately, there’s no microSD card slot, so you can’t expand available storage. The device comes with dual-band 802.11a/b/g/n/ac Wi-Fi, Bluetooth 4.0 and 8,000mAh lithium-polymer battery that can last entire day. Regarding available ports, the device comes with 3.5mm headphone jack and a single USB Type-C port. There’s also USB-C to full-size USB adapter available that allows you to connect other USB devices to your laptop. Jumper EZBook Air is a decent Windows 10 laptop, but its flaw is the lack of additional USB connectors. One available USB Type-C port is used for charging and data transfer, so you can’t attach a USB mouse, USB flash drive or portable hard drive while charging. In fact, you can only connect a single USB device if you’re not using a USB hub. This device offers decent specifications, great resolution and solid lightweight design, but its main flaw is the lack of additional USB connectors, which means that you’ll have to detach all USB devices while charging your laptop. Regarding the price, this device costs about $348. If you’re looking for a 2-in-1 device, you should definitely check out ASUS Transformer Book T100HA. This device comes with 10.1 WXGA touchscreen (1280 x 800) and it supports 10-finger multi-touch. Regarding the hardware, this device has Intel Atom x5-Z8500 1.44 GHz CPU that supports Burst Technology. Additional specification includes 4GB LPDDR3 1600 MHz RAM and 64GB of eMMC storage. Of course, you can expand the storage with built-in MicroSD / MicroSDXC card reader. 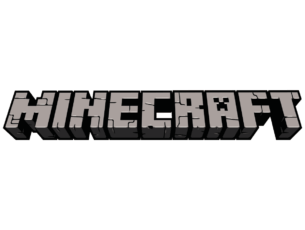 Regarding multimedia, this device has Intel HD integrated graphics. As for available ports, there’s one USB 3.1 Type-C port and one Micro-USB 2.0 port for charging. There’s also USB 2.0 port for detachable keyboard dock, Micro HDMI and headphone output / microphone input combo. Additional features include 802.11a/b/g/n Wi-Fi, Bluetooth support, 2-Megapixel front-facing and 5-Megapixel rear-facing camera. The device uses 2-cell 30WHr battery that can last up to 12 hours on a single charge. 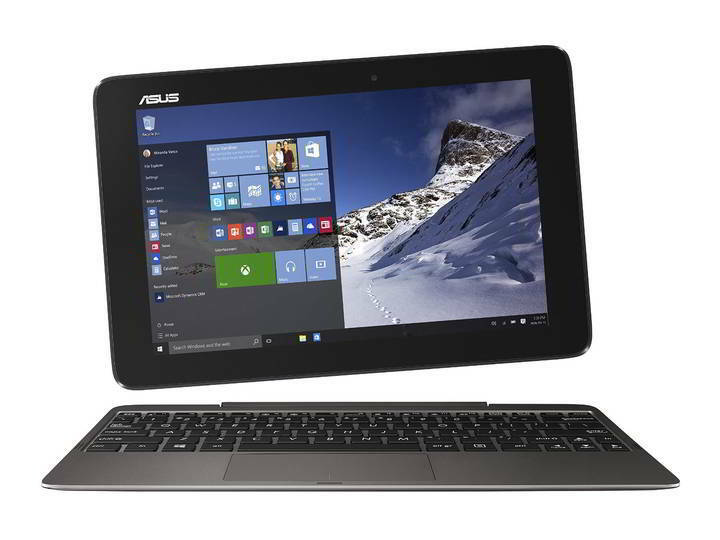 ASUS Transformer Book T100HA comes with detachable display, and you can use it as a tablet at any time. The device comes with decent hardware and it will be able to handle basic tasks with ease. Regarding the price, this amazing 2-in-1 device is priced at $270. Acer Aspire Switch 10 is another 2-in-1 device that can work as laptop or tablet. The device comes with 1.33 GHz quad-core Intel Atom Z3735F processor and 2GB of DDR3L SDRAM. This device doesn’t have optical drive, and it comes with 32GB flash memory storage. If you want, you can easily expand it thanks to the microSD and microSDXC card support. Regarding multimedia, this device uses Intel HD Graphics integrated controller. 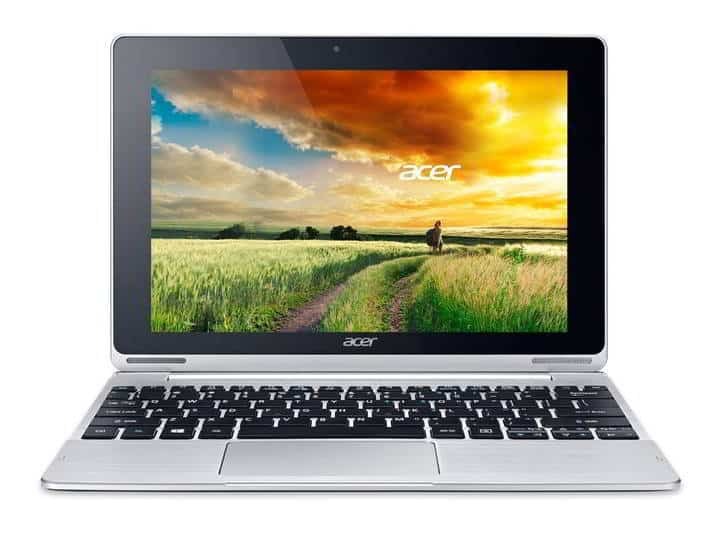 Acer Aspire Switch 10 has 10.1-inch multi-touchscreen with 1280×800 resolution. Additional features include 802.11 a/b/g/n Wi-Fi and Bluetooth 4.0. The device also has USB 3.0 port and 2-cell Li-Polymer 5930 mAh battery. This laptop comes with detachable display, and you use it as a tablet anytime you want. Regarding the software, this hybrid device runs on Windows 10 Home 32-bit version. Acer Aspire Switch 10 is a great hybrid device, and you can purchase it for $225. Aspire ES1-571 is another affordable Windows 10 laptop. This is 15.6-inch 1366×768 device. The device comes with 2GHz dual core i3-5005U processor and 4GB RAM. If you need more RAM, you’ll be pleased to hear that this device can support up to 16GB of RAM. Regarding the storage, there’s 1TB hard drive available, but there’s also support for microSD cards as well. Additional features include optical drive, 802.11 b/g/n Wi-Fi and Bluetooth 4.0. The device has two USB 2.0 ports and one USB 3.0 port. There’s also HDMI and Ethernet port available. This laptop comes with 3200 mAh battery that can last up to 5 hours on a single charge. The device runs on 64-bit version of Windows 10 Home Edition, and it can handle most applications with ease. This laptop weighs 5.2 pounds and that’s its only flaw along with relatively short battery life. Regarding the price, this laptop is available for $271. 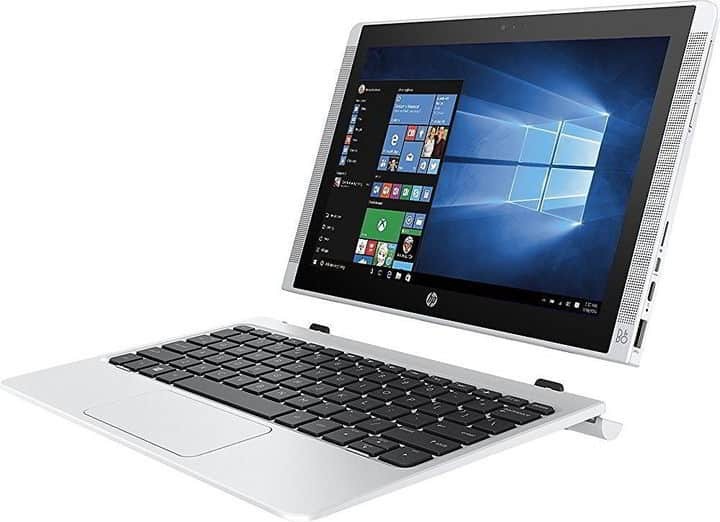 HP Pavilion x2 is another hybrid device that can work as a tablet or laptop. The device weighs 2.6 pounds so it’s fairly light. The laptop has 10.1-inch touchscreen 1280×800 display. Regarding the hardware, HP Pavilion x2 is powered by quad-core Intel Atom x5-Z8300 1.44GHz processor. There’s also 2GB SDRAM and Intel HD Graphics. The device comes with 32GB SSD, but you can expand it with microSD cards. Additional features include Bluetooth, 802.11ac Wi-Fi, one USB 3.0, one USB 2.0 and micro HDMI port. The device has detachable display, so you can easily use it as a tablet. HP Pavilion x2 runs on Windows 10 Home edition, and you can purchase this device for $259. As you can see, there are many great cheap Windows 10 laptops available on the market. If you’re looking for a new affordable Windows 10 laptop, be sure to consider some models from our list.